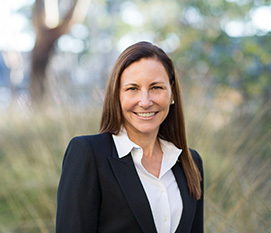 Sloan Klein brings a unique experience set to her coaching practice, having spent two decades as an executive recruiter and coach advising senior level professionals in investment management, private equity and financial services on career and talent development. Sloan co-founded Sextant Search Partners which was a successful financial services search boutique with offices in New York and San Francisco. For ten years she recruited executives in the fields of asset management and private equity. Sloan worked closely with management making the leadership and talent decisions as well as with the candidates being considered for selection. She led hundreds of searches helping to build teams and partnerships for a diverse roster of top tier clients. After achieving her career dream of building a successful executive search firm, Sloan decided to refocus her energy on the part of the business that she enjoyed the most–helping people navigate career transition and talent development. Today, her coaching is differentiated by insight gained from years of experience building teams in asset management and private equity. She understands firsthand the priorities of the leaders making the hiring and business decisions. Sloan leverages this perspective in her coaching to help her clients achieve success. Within asset management and financial services, Sloan’s experience spans the functional areas of investments, research, fundraising and investor relations, capital markets and investment banking, marketing, operations, and general management. She works with the Stanford Graduate School of Business coaching alumni in financial services. Additionally, as a certified Hogan coach, Sloan is trained to administer and interpret their psychometric tests for talent assessment. Sloan is an Honorary Director and former Board Chair of Compass Family Services, a nonprofit devoted to breaking the cycle of family homelessness in San Francisco. She is also a Trustee of The Branson School. A pragmatic optimist, when not working Sloan is raising two daughters with her husband. She loves travelling, cooking, community service, live music, staying fit and doing anything on the water.